Enhance your company’s visibility and improve search engine results placement by getting your small business listed where it matters most. If you want to make it easy for new customers to find your business – even if they don’t know your name yet – you’ve got to get listed in the places they’ll look for you. Internet Directories are one of the most successful ways small businesses become more visible to eager new customers. Laid out like conventional offline directories, with listings of companies under various headings. Companies are listed within specific categories and sub-categories, along with the link to their respective websites. Most directories list websites across a broad spectrum of geographic regions and categories. Yahoo, Yelp, Angie's List, Merchants Circle and City Search are good examples of Internet directories, but there are many others, including national directories, local directories, review directories and niche directories. Search engines like Google use directories to gather search results. Whenever someone uses a search engine to look for something, that search engine pours through many thousands of online directory pages to help generate results. If your website has been categorized and indexed in these directories, it is considered more relevant and therefore gets a higher ranking, which means you’re more likely than your competitor to get that new customer. Also, many major directories such as Yelp, Angie's List and Houzz, to name only a few, have millions of loyal fans that search the directory first for products and services. 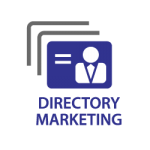 Directory marketing involves submitting your business listing and contact information to dozens or even hundreds of directories that organize business listings and provide links back to those businesses websites. By listing your business on these directories you create a link from those powerful directories back to your website. Each directory link counts as a authority validation for your website’s relevance. Your website is listed in the appropriate category within a searchable online directory, which increases your website’s profile and creates valuable inbound links to your site. Placing your website with the various directories is a way to increase links to your site, which in turn builds credibility for your website’s importance with the search engines. Why Is Directory Marketing Important to Your Business? Directory Marketing involves submission of your business information to dozens or even hundreds of popular directories. The immediate result is an increase of links back to your website, generating an elevation of your ranking and visibility among the big search engines. This places your website closer to the top of search page results. Meaning, of course, that people will be more inclined to see your website listing and click on it, thus driving up traffic to your website. The point is that website submission to directories creates high-quality inbound links to your site. When your website is listed in a directory it benefits from top-notch inbound links, which also enhances your website’s profile and ranking. Adding your business information to directories isn’t a particularly complicated process in and of itself. But it can go wrong in a heartbeat. Where directory marketing gets tricky is when it comes to what seems like a simple requirement – every listing for your business must be precisely the same. For example, Road and Rd. are considered different listings. It’s not something people really care about, but Google is fanatical about its requirement for precision here. It gets even more complicated when directories scrape the listings from one another and you end up either with duplicate listings or slightly modified listings – and then Google starts penalizing you for this snafu. Managing your directory listings is not only a tedious and time-consuming process; it’s one that’s nearly impossible to handle in-house. There are automation tools available, but they are so costly that they’re out of reach for most businesses. In addition to better placement and visibility with search engines and their search results, you also get the added benefit of having your company listed on many different directories. Being listed makes it easy for people who are searching those directories for the types of products or services your company offers to find your website. The fact is, these directories were created in order to offer the same services as the big search engines, except they classify websites into categories, which are then presented to the user, making it easier to find the websites they’re seeking. Traffic coming into your website from a directory is more focused, meaning your visitor-to-sales ratio is likely to be better than visitors coming in from generic search engine results. That’s because the user has already selected your website based on the directory categorization and description rather than from the large basket of search results delivered by a search engine. It’s the same principle you might use when setting up ads with Facebook or Google; why spread your ads around to everyone when you can target them to your ideal potential customers? Directory marketing helps you maximize your online marketing investment by bringing in top-quality prospects. Finally, don’t forget the power of link building. The more directories your website is listed with, the better your chances for a higher ranking in the search engine results. The Inbound Marketing Program and the Social Engagement Program uses directory marketing strategies to help your company gain visibility and improve its search engine placement, driving swarms of new customers to your website. MarketBlazer’s experts have honed our process down to a handful of proven steps that always give our clients a boost of traffic and increased sales. 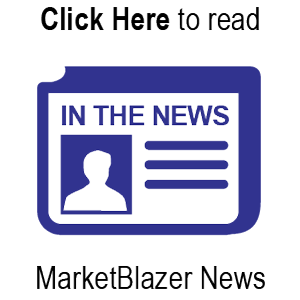 In other words, we know the smartest way to leverage directory marketing to improve your company’s bottom line. 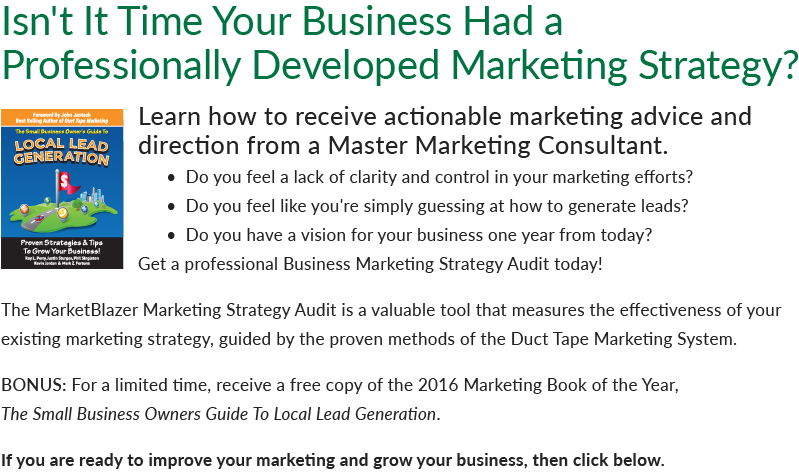 Call 770-893-2443 today to request more information about how MarketBlazer’s directory marketing program can help your company grow.